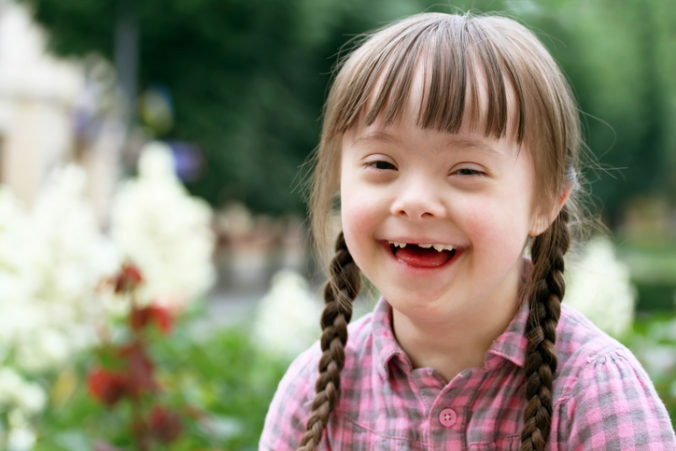 The issue of Down Syndrome (DS) and abortion is obviously going to loom large in the referendum debate with justifiable concerns raised that in a growing number of countries a large majority of babies are aborted once DS is diagnosed in the womb. The concern is that more Irish women will opt to do this if we repeal the 8th amendment. Let’s dig a little deeper into the international situation. Fintan O’Toole in his Irish Times column this week essentially argues that this concern is overblown. He says it leaves out the 30-40pc of pregnant women in Britain “who choose not to be screened”. He claims the increase in screening has not wiped out the births of children with DS , and he says the number of Irish women taking this option is “strikingly small”. In his article he refers to figures from the England and Wales (he says ‘the UK’, but he appears to mean only England and Wales) and the Netherlands. Let’s consider England and Wales first. The National Down Syndrome Cytogenetic Register for England and Wales tells us that while the percentage of DS children who are aborted following a prenatal diagnosis has remained stable at about 90pc (a huge figure), their absolute number has significantly increased because the percentage who are being screened has also increased greatly. Fintan O’Toole does not point this out. In 1989, 70 percent of children diagnosed with Down Syndrome were born. By 2013, this had dropped to 37pc. What happened to cause such a drastic drop in the percentage born alive? The answer is more screening and more abortion. 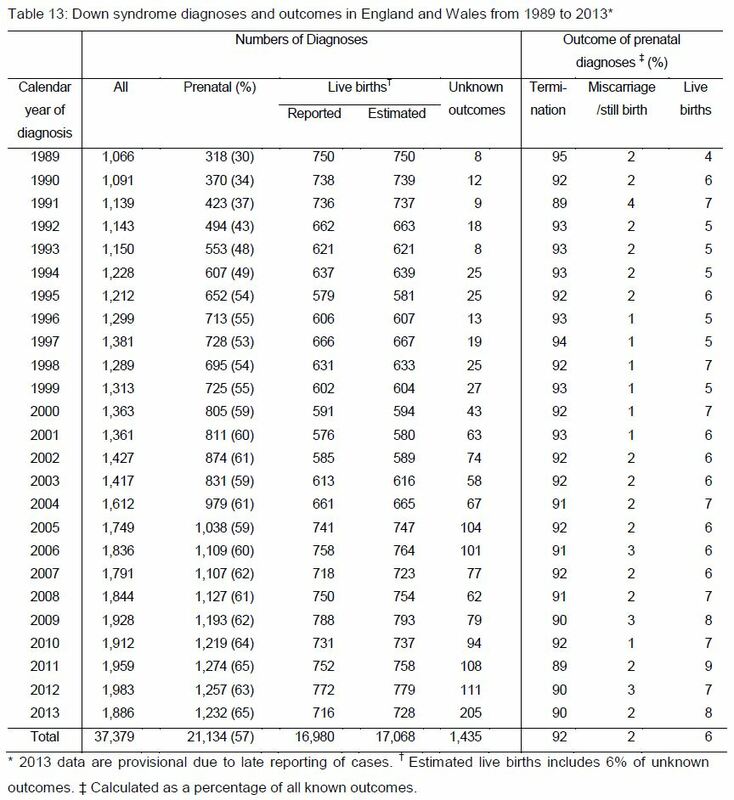 The percentage who opted to abort a child with DS may have been more or less static since 1989 (a year O’Toole refers to in his article), but the number being screened greatly increased from 30pc then to 65pc in 2013 and the number of abortions went from 302 to 1108! O’Toole notes that in England they decreased from 92% to 90%, without mentioning the absolute numbers, as this is somehow significant, and as a proof that the increase of screenings hasn’t wiped out Down Syndrome children. So 90% is not a wipe out. Do we need to wait until it is 100%, as in Denmark in 2015? O’Toole also refers to the Netherlands because their case was presented at the Joint Oireachtas Committee on the 8th Amendment. He points out that the screening rate there is 35%, much lower than the European average. There are historical reasons for this, well explained in this article, but the non-invasive prenatal testing was extended to every woman only in April 2017, after a long public debate, and it is too early to assess its impact. The Dutch expert told the Committee that the number of children born with Down Syndrome is stable. But, in spite of a lower screening rate compared to other European countries, the percentage of DS children aborted following a diagnosis is still close to 90pc. Why do some women choose not to have a prenatal test? O’Toole speculates it is because these women “have already decided even if they test were positive they would continue with their pregnancy anyway”. This may be the case sometimes, but there are other reasons, such as the concern that some prenatal tests will cause a miscarriage. New forms of non-invasive prenatal testing overcome this fear, but we still have to see how the number opting for a prenatal test increases. Finally, Fintan O’Toole claims that the number of Irish women having abortions in England under Ground E (disability) is small. This is true compared with the very high rate in other countries, but why would we think this will not increase with more prenatal testing and with abortion freely available in Ireland?